Senior Solutions can refer a wide range of care at home, in the hospital, or in healthcare facility settings. 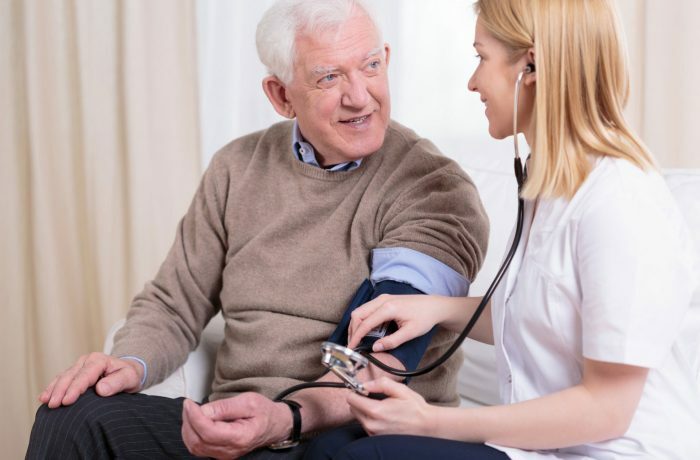 Whether you need elderly companion care at home, senior care services or companion care at home for a loved one who is chronically ill or recovering from surgery, Senior Solutions Home Care can help. Client's who are capable of self-administering their own medications without assistance shall be encouraged to do so. However, your referred in home caregivers (certified nurse assistants and home health aids) may, consistent with a dispensed prescriptions label or the package directions of an over-the-counter medication, assist a client whose condition is medically stable with the self administration of routine, regular scheduled medication that are intended to be self-administered with informed consent of the client the client's surrogate, guardian, or attorney in fact. If administration of medications, e.g., preparation of syringes for injections or the administration of medications by any injectable route are necessary, Senior Solutions can refer to you a Licensed Practical Nurse (LPN) or a Registered Nurse (RN) for administration of medications. Contact us at any time and we will do our best to meet your needs. Senior Solutions us usually able to accommodate same day requests for referrals however; we suggest scheduling in advance to guarantee that we can accommodate your request. Telephones are staffed 24 hours per day 7 days per week. Helping to relieve the stress of caring for a loved one by providing a much-needed break to primary caregivers (spouses, children, relatives, or friends) is one of Senior Solutions' main goals. In fact, while we aim to serve the needs of individual clients, we also know that we are working with families in sometimes challenging situations. Referred caregivers through Senior Solutions in home care company can give you that much needed time off. Become part of the community again! Senior Solutions referred caregivers will take a client to a favorite activity—perhaps a nature class, bingo, or a concert—and are happy to join in a game of cards or Scrabble. In fact, through our Client Care Coordinator, Senior Solutions helps match specific referred home care caregivers to clients’ interests and habits. Senior Solutions referred home health caregivers provide light housekeeping such as changing bed linens, help with a load or two of laundry, vacuuming, light dusting, trash removal, organizing and tidying rooms, closets and drawers, straightening up of kitchens and bathrooms. A tidy home is a happier, more comfortable home, and your caregiver is here to help! A caregiver’s care at home can save time and physical exertion—for people who have trouble with mobility, experience joint pain, or tire easily. Senior Solutions referred caregivers can also wash, dry, fold, iron and put away clothing, bed linens, and towels for our clients.